One thing holds true with any type of marketing…things change. Businesses must learn to evolve in order to market effectively and not waste thousands on ineffective marketing strategies. People tend to think that the marketing industry progresses slower than it does. Many businesses still use marketing strategies developed ten years ago. But the fact is strategies from ten years ago don’t work. Some that worked two years ago, no longer work today…and what works today is likely outside of your realm of general knowledge. This is true for all forms of online marketing, but no marketing avenue has changed things quite like email marketing. When email marketing first appeared on the scene, it was not viewed as a replacement for direct mail marketing by most businesses. While some businesses still feel this way and attribute a small part of their marketing budget to direct mail, most ditched the “junk mail” approach due to the high cost of printed materials and postage, and low return on investment. These businesses strived to evolve with the marketing trends and understood that the most successful marketing moves forward and uses “cutting edge” techniques. Email marketing was complicated at first. Business owners had to find creative ways to collect email addresses from interested consumers. This meant going to conventions, requesting emails from customers making in-store purchases, and other time consuming techniques. Then the availability of email lists you could simply purchase became popular. The lists were more affordable and ready to implement faster than businesses self-collecting emails. Email marketing was relatively new and there were not too many rules and regulations to govern or separate “spam” from daily emails. This made email marketing easy, affordable, and very successful as far as available marketing avenues of the time went. Today, most businesses find that email marketing is much less successful. This is mainly due to the fact that consumer behavior and email marketing policies have changed, drastically. Purchased lists don’t work as well as they use to. In fact, depending on your industry, they may be a complete waste of time and budget. Purchased lists typically have a high bounce rate, unsubscribe rate, and get more abuse complaints than self-collected lists. Depending on what email marketing platform you use, this can get you blacklisted and shut down. Why the change? Well it’s simple. Consumers don’t like spam. With the increase in email marketing came the increase of emails with information consumers did not ask for and didn’t want. To remedy this, spam filters and requirements to allow consumers to “unsubscribe” from email lists went into effect. This made most purchased lists nearly useless. Most industries offer specific products or services, and purchased lists are often broad. Consumers today are interested in immediate gratification. They want the exact information they are looking for with one click of the mouse. With so much instant information available online, it is hard to get consumers to subscribe to email lists. While difficult, self-collected email lists have been found to be exceedingly more successful than purchased lists. Here at Website Marketing Company, we use advanced strategies to collect emails from consumers and create lists that are what we call “interest specific”. These lists, while smaller than purchased lists, convert better. We also follow a tried and true strategy to limit “unsubscribes” and protect our client accounts from being blacklisted. Along with other techniques, this allows our clients to reap the benefits of email marketing to the greatest extent possible. If you want to get the most out of your email marketing, start with these three tips. Never Buy A List: Most purchased lists are made up of emails addresses from people who are within a certain demographic. While purchased lists may appear to be the “fast track” to a large audience to send your business information to, resist the urge. Please remember that, number one, these people did not sign up to get emails from your business. Number two, there is no way to protect yourself from abuse complaints, because these people legitimately did not subscribe to receive emails from your business. Nobody likes spam and sending out mass emails to uninterested consumers can make your business look untrustworthy. Create Your Own Lists: There are many ways to create a “good” email list or lists. Requesting in-store customers sign up to receive discounts is one of the most common ways to collect emails. Another way is collecting email leads from paid ads. Reputable marketing companies that specialize in email marketing can help you set up your account, collect emails, and generate conversions from a well put together email marketing strategy. Here at WMC, we use lead generating ads on multiple platforms that are geared towards specific aspects of your business or products. We use flex target marketing to increase subscriptions and interest specific lists to make sure consumers only get info and updates related to what they signed up to receive. This helps alleviate the number of unsubscribes and makes your email list more efficient. Avoid Spamming: Only send information the subscriber signed up to receive. The biggest mistake businesses make is creating one general list from all collection methods and sending multiple emails per month to everyone. For instance, let’s say you own a car dealership and you had people subscribe under multiple interests (Sports Cars, Minivans, SUVs), but you placed all email collected into one general list. Each time you have a sale, you send the emails to everyone. The people who signed up to get information on sports car sales, get emails about minivans and SUVs…but they don’t want or need that information. If they get one email about sports cars and the other two that month are about minivans and SUVs, they are very likely to unsubscribe from your list. This means you have potentially lost a future sale of a sports car. What’s worse, is “spamming” can cost you the use of your email marketing account. Many platforms have safeguards to protect consumers against unwanted emails. Some can delete your email lists and freeze your account. 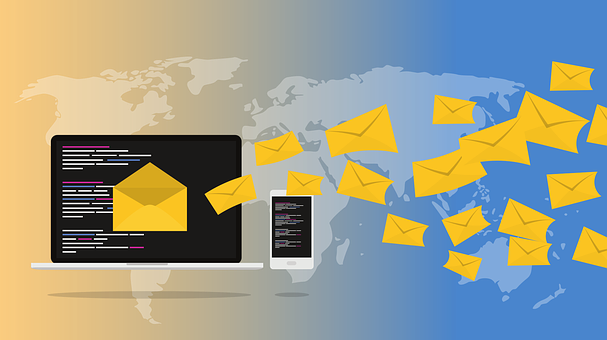 Email marketing has evolved, and if you want to use it successfully, it requires stepping away from the traditional methods that use to work. If you want to see how your current email marketing strategy can be improved, contact us for a free email marketing analysis.